Released March 20, 2015, on Pure Prog Records. 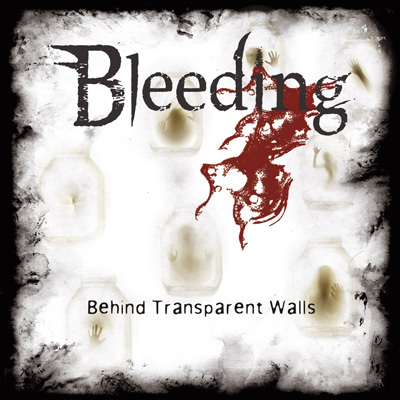 Bleeding is a German progressive metal band, and this is their debut full-length. They are not total noobies though, having released an EP back in 2012. The members of Bleeding have also served in bands like Abstract, Forms in Combat, and Kurai Tanima, Zerferzte Organismen - I honestly do not know any of these bands, though. But that these guys are experienced musicians definitely shows in every song on the albums. 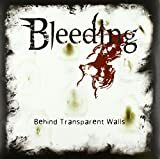 Bleeding explore the darker aspects of progressive metal, taking up the darkness of Psychotic Waltz and the aggression of Antithesis. Every song on the album is a constantly driving force, relentlessly attacking the listener with one riff after the other (kind of like Mekong Delta or Watchtower). Some tracks are heavier, like 'Humanoluminiscence', and others are more aggressive in nature, like the title track. Most compositions on the album are dynamic and well put together, and it is not an exaggeration to say that we are dealing with fairly original and innovative music here. The production is a bit rough-edged and not your typical polished progressive metal, which fits the music quite well. Haye Graf's singing style may be an acquired taste, as it sounds like a combination of Gary Numan and Serj Tankian. I quite like it though. The musicianship and songwriting chops are impeccable. Fans of darker progressive metal should definitely check this fine debut album out. No BLEEDING BEHIND TRANSPARENT WALLS reviews posted by members yet. No BLEEDING ratings only posted yet.